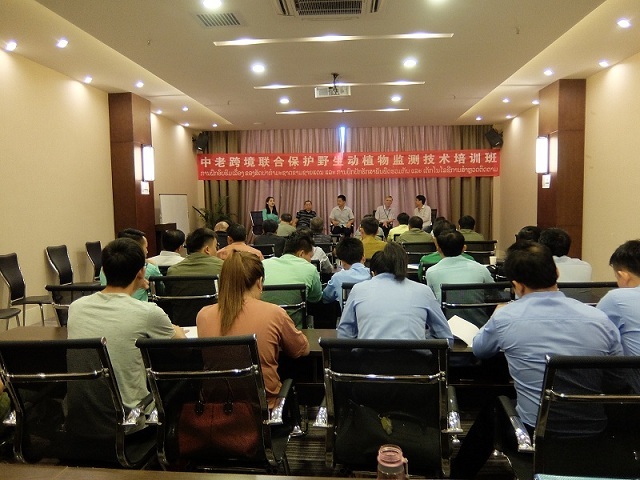 From May 28th to June 1st, 2018, XTBG and Xishuangbanna National Nature Protection Institute jointly held the China-Laos trans-boundary wild animals and plants joint protection and monitoring technology training course in Mengla, Yunnan. Aims to improve bilateral employees’ capabilities of field scientific research and monitoring. Nearly 40 trainees from Laos and China attend this training. they are from Laos Biotechnology and Ecology Institute, Science and Technology Department inPhongsali/OudomXai/Lung Nantha, China Shangyong and Mengla Conservation Institute. The training combines class lecturing with field practice. The 7 instructors of the training courseare from both XTBG and Xishuangbanna National Nature Protection Institute, The course mainly covers biodiversity conservation in the Greater Mekong Subregion, identification methods of turtles/birds, field monitoring methodsof wild animal , infrared camera settings and field installation techniques, wild plant quadrat setting and monitoring method, the investigation and protection of orchids in northern Laos, protection and dynamic monitoring management of cross-boundary Asian elephants in Laos, and the management experience of conversation areas, etc. 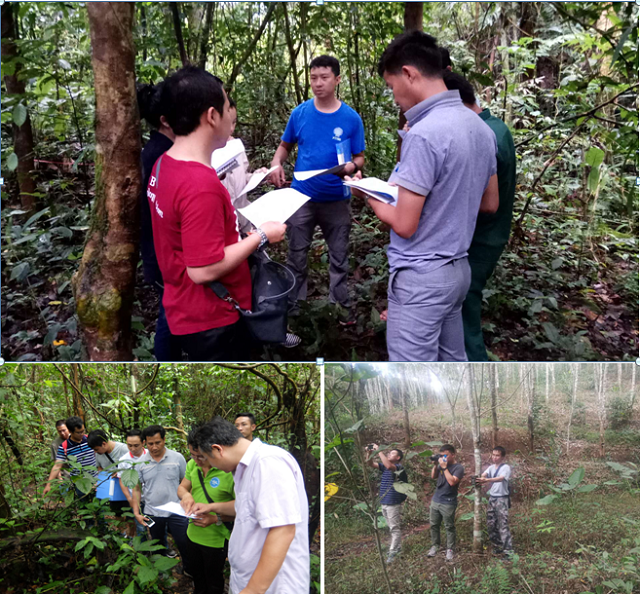 On May 31st, all trainees went to Bubeng Ecological Station to conduct the field practice assessments, field infrared camera installations, and plant quadrat setting and belt transect surveys. The instructors gave careful and serious explanations to the participants. 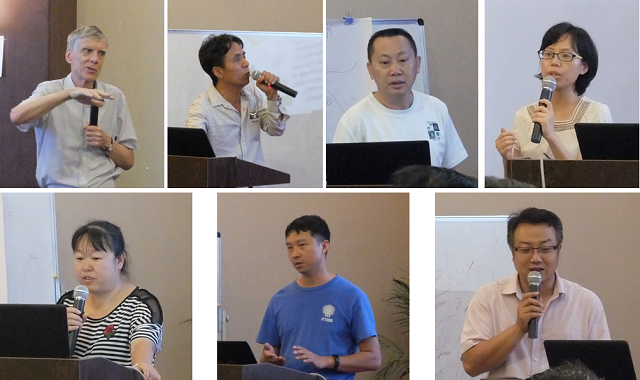 At the conclusion of the training session, YANG hong-pei, Director of Xishuangbanna National Nature Protection Institute, and SONG liang, associate professor of XTBG, gave congratulations to everyone on their successful completion of the training course and appreciated all the instructors' contributions. This training has enhanced the strength of young scientists and techniciansand laid a foundation for the cross-boundry biodiversity conservation work between China and Laos. LIU Qiang, gave a representative talk, he said that this is an opportunity for mutual learning, both sides shouldwork together and often exchange experiences in biodiversity conservation lay emphasis on cultivating local scientists and achieve win-win cooperation. 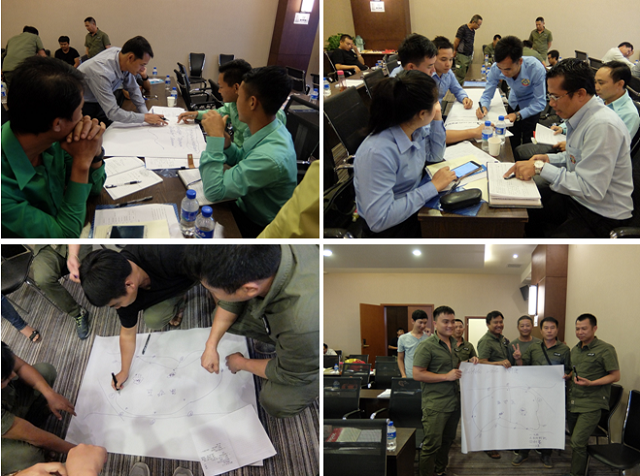 The trainees from Laos said that this training increased their awareness of biodiversity conservation andhelped us master basic survey methods, they will share the knowledge with their colleagues when they get back and hope such training courses can be held regularly, in this case the two parties could have more exchange opportunities. After the meeting, Yang Hongpei and Song Liang conferred certificates to the trainees. 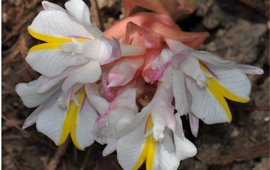 Hereby, we would like to express our heartfelt thanks to the funding from XTBG, APFNet, IUCN and CEPF, also great support from SEABRI, Shangyong, Mengla Conservation Institute, and Bubeng Ecological Station.